I've seen there are some RF filters on sale on this website, and they use these tiny aluminium enclosures. Pretty nifty I think so I thought maybe I'd use the same box for my own DIY band-pass filters. I was grepping the eBay and Aliexpress and I couldn't for the love of god find anything similar. Every enclosure they sell is bigger. There is nothing this small made of extruded aluminum. Where the hell can I buy these (possibly unprinted)? Any chance they be sold on this site? I hope you get a reply, coz i could use a few as well! We have to custom manufacture these, there's no COTS enclosure like this as you've seen. Sometimes on Aliexpress you'll find factories that will custom size enclosures for you with low minimum order quantities. Although of course the price will be higher, and you'll need to pay an initial moulding cost for the extrusion profile. Sounds great! I don't mind the branding. Thanks. I would be very interested in ordering a bunch of these. The branding isn't a problem. I think the text can be easily wiped off with a piece of cotton and some acetone. I've been trying to reach you over IRC on freenode in #rtl-sdr channel, and this forum doesn't seem to support private messages so I'll just post the question here... Is there any chance you could sell off some of those enclosures (i.e. 5 pcs)? I recall you put your RTL-SDR v3 dongle enclosures on sale a while ago and I've been able to make a custom enclosure for LNA4ALL by using two side panels with SMA holes. But anyway, it'll take me still a few months to get the cases by themselves ready sorry. I need to wait until I make the next bulk order for enclosures, which is still maybe 3 months away. Also just to check, are you looking for the filter cases, or for the V3 dongle cases? The LNA4ALL doesn't quite fit into the filter cases because the LDO on the LNA4ALL PCB is right up on the edge, and so it hits the screw hole. And the SMA doesn't quite line up with the hole if you put it in diagonally. It fits into the V3 case if you sand off the burs on the PCB edges. But you'd also need to cut the case down to size then. Buggah, pity really. The LNA4ALL boxes are prohibitively expensive ($51 AUD + postage). Was hoping for an alternative. 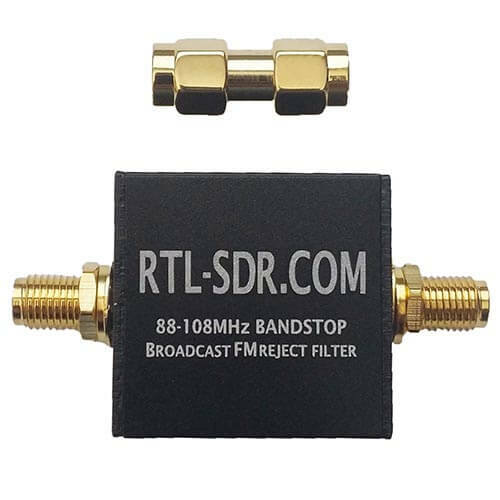 rtlsdrblog: Actually now that you mention it I would also be interested in the rtl-sdr v3 enclosures, provided that you can supply multiple SMA side panels and screws (either SMA or full; the ones with USB holes are useless). I have already bought some of them from you in the past, and I've been able to make decent enclosures by cutting them in half and grinding them down to size. For example in the images below you can see how the v3 enclosure was a nearly perfect match for Yardstick One and LNA4ALL. In the latter case I had to modify it for bias-t power and scratch off some contacts from the edge of the PCB (+ use Kapton tape) to isolate it and prevent short circuit with the chassis. The problem was I ran out of the side panels, and I had an excess of the ones with USB holes which are useless in this case. If this isn't an option I am still interested in the filter cases though for making custom PCB's with band-pass filters. wow! nice job Airwind! Wasn't expecting it too look that good. Now i'm interested again!